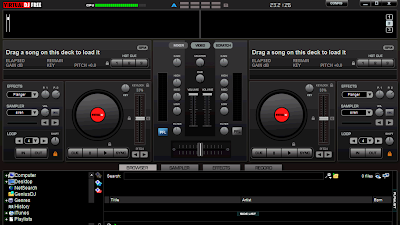 Virtual DJ offers various MP3 mixing software both paid and free but this post will be dedicated to the Virtual DJ Free where you can mix MP3 and music in the comfort of your own home for free. Afterwards, you can upload the music files through ESnips. I first started using Virtual DJ last year. It was the Virtual DJ Pro. I only used the trial version though. Being already freelancing online while working full time back then, I only got to mix a few songs and use the software in between the hectic schedule while the trial period of the product lasted. I was already able to upload them through a file sharing site but sadly it already expired and I can’t even remember that site anymore. Good thing I stumbled upon ESnips. I found it accidentally while searching for the album Rock Grooves in Delirious Ways. I found the song I was looking for – “Sana’y Di Na Lang by AudioLokal.” You can hear the song as well as other songs from the band through this entry A Taste of a Local Audio Experience with AudioLokal. 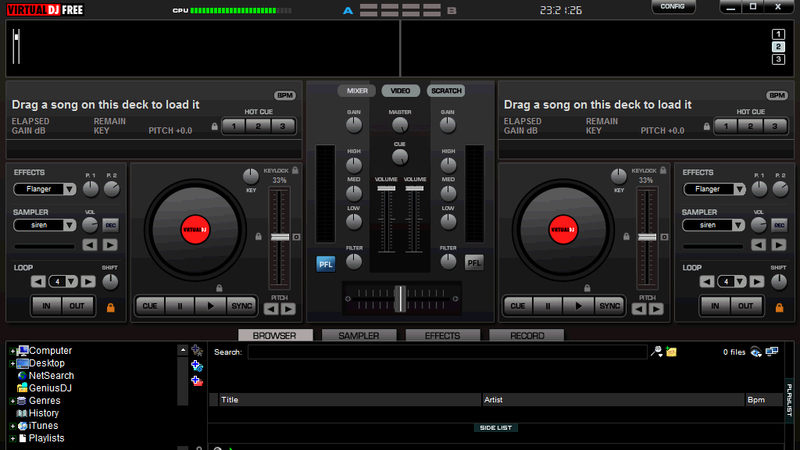 It took me ages just to upload the audio file of the tracks I’ve mixed through Virtual DJ. I first thought of coming up with a video accompaniment for the songs and upload them over YouTube. I never got the chance to record a video, find an appropriate existing one anywhere, or even create a PowerPoint at least and convert it into a video material afterwards. So I ended up with audio only files and shared them via ESnips. Most of the tracks are unappealing but some are at least good enough. I wanted to mix at least one a week to practice, but as usual, being busy online does not permit me to do so. I still hope that I can sit down one time and mix. Update: The Esnips files no longer work and I've uploaded them to SoundCloud instead. If you feel like mixing songs as well, all you need to do is to download the software through the Virtual DJ official site. If you intend to mix tracks for personal use only, then I suggest for you to use the HOME edition. It’s completely free although there are features you won’t find here and are available only through the other versions. If you plan to someday transition into professional mixing, you can start with the PRO trial version and practice nonstop until the trial period expires. You can always purchase a full version afterwards. Using the software is easy, provided you got through the installation process first. Everything inside the interface is pretty much self explanatory. Just play around and you’ll get use to it in no time. But if it helps, there are instructional guides you can read everywhere online. Once you get the hang of it, you’ll be mixing songs like crazy. When you’re done, you can upload them via ESnips or produce a video if you can so you it can be posted over YouTube. There are audio only videos over YouTube too, with only a single photo to see but I just think such uploads beat the purpose of the site so I didn’t bother doing so. Going back to Virtual DJ, this product unleashes your musical creativity. Mixing tracks can be relaxing, can promote self-expression, and can become an income generating profession if you are serious about the craft.